Nearly every cancer patient has at least one family member who assumes responsibility to care for them. Research consistently shows that these family caregivers face increased mortality and health issues as a result of their caregiving. However, the family remains invisible in the cancer statistics and in the care delivered by the healthcare team. The goals and processes of the health care system are misaligned with the needs of family members, resulting in interactional suffering for burdened and stressed caregivers. Through the sharing of her personal story and her research with caregivers of hospice patients, Debbie will demonstrate the unintended suffering that comes from interacting with the cancer care continuum. She will suggest simple ways that providers can realign their priorities and practices to prevent suffering and improve their family centered care. 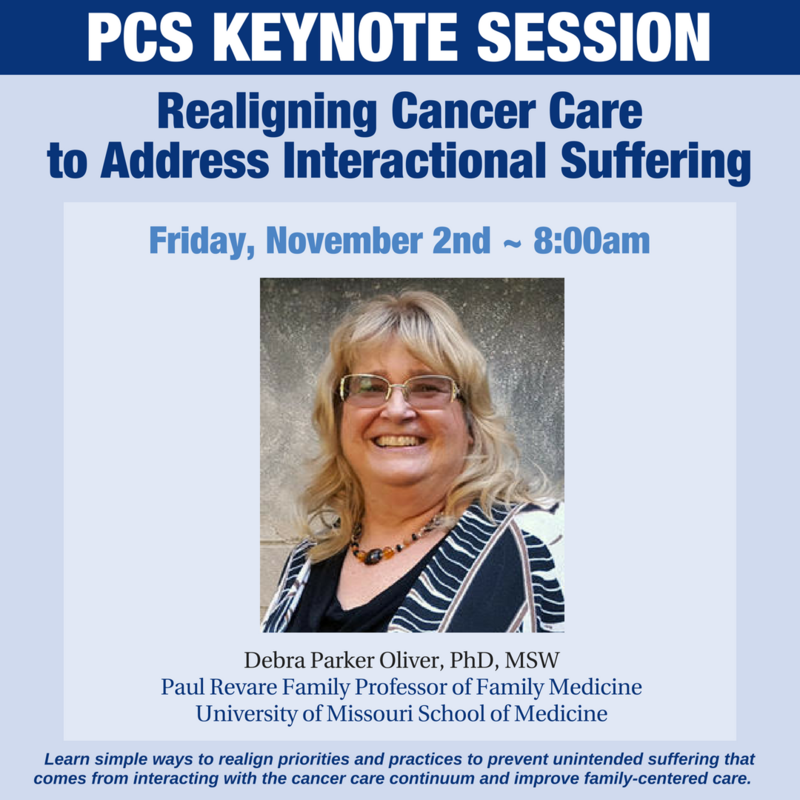 Debra Parker Oliver is the Paul Revare Family Professor of Family Medicine in the School of Medicine, at the University of Missouri. She has a Masters of Social Work and PhD from the University of Missouri. She was a hospice social worker and administrator in three hospice programs for a total of more than 20 years, including the founding Director of Hands of Hope Hospice in St Joseph Missouri. After getting her doctorate in 2000 she continued her commitment to the improvement of hospice care through research. She has over 150 peer -reviewed articles and several book chapters related to palliative and hospice care. She is currently one of three authors on a new book to be published by Elsevier titled “Behavioral Interventions in Hospice and Palliative Care.” She is an active researcher funded by the National Institute on Aging, The National Cancer Institute, and the National Institute of Nursing Research for intervention studies designed to improve the hospice caregiving experience. Despite her professional experience and expertise, Debbie found herself ill prepared in when she became a caregiver for her husband who was diagnosed with Stage IV terminal cancer. In an effort to teach and advocate for those facing cancer and terminal illness she and her husband created a blog to share their journey with others. They received the Project Death in America Community Education Award from American Academy of Hospice and Palliative Medicine care two weeks before David passed away. Debbie now continues the journey through grief and bereavement, continuing her commitment to share her journey. 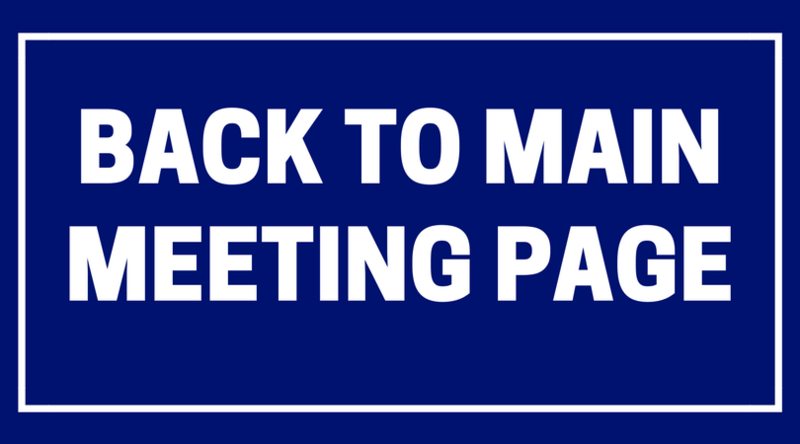 If you'd like to exhibit at the 2018 Annual Meeting, and are not a corporate supporter, please sign up as an exhibitor, email info@nnecos.org with a request for any necessary paperwork, and then have the participant register through the corporate member/exhibitor page.